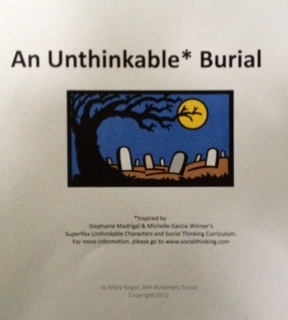 Big thank you to Mary Keiger at AUsomely Social for sharing An Unthinkable Burial! 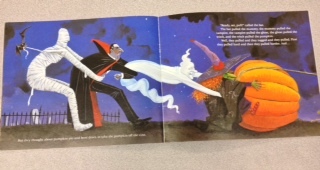 Our third grade social skills group had a spooktacular time. 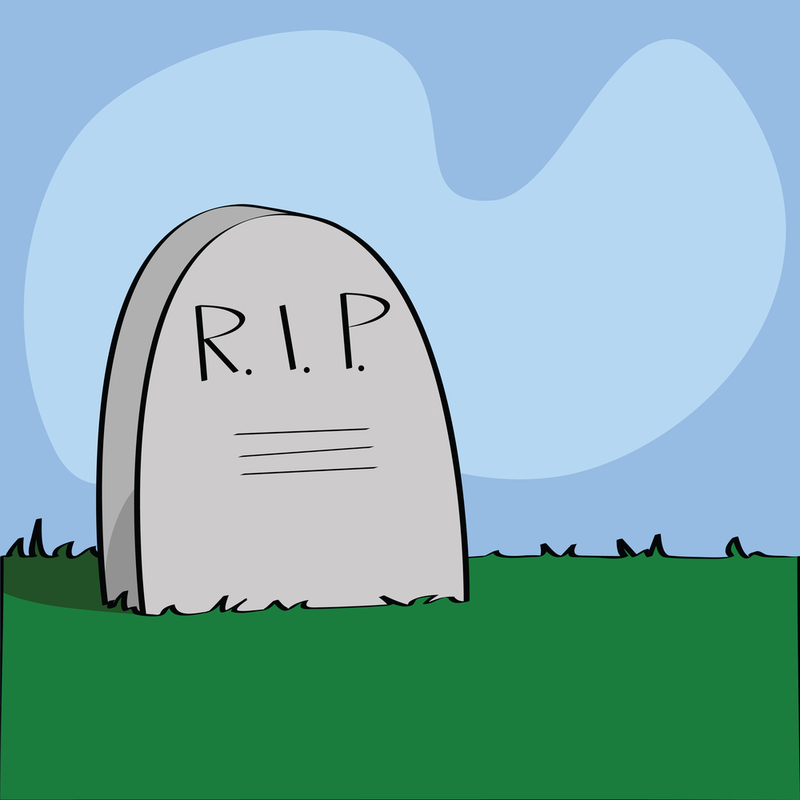 This particular group knows the Unthinkables very well and because they know how to use The Five-Step Power Plan to defeat them, they were able to bury them on this Halloween day. The activity is available at http://ausomelysocial.wordpress.com. In Mrs. Lindstrom’s Kindergarten class yesterday, we further explored The Group Plan. Many students struggle with this concept. Maybe they are not paying attention or don’t know how to be a part of the group. Maybe they are not regulated. Whatever the reason, we are working hard to show them how they can be part of the group plan. There were plenty of opportunities to contrast the group plan with following your own plan!! to illustrate a Group Plan. 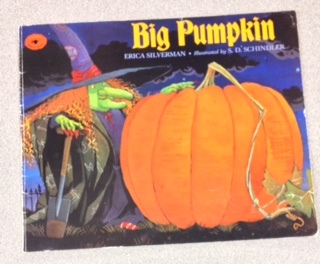 All the characters want some pumpkin pie, but first they have to get the pumpkin off the vine. Each one tries but fails. Then the bat proposes a terrific plan-a Group Plan! 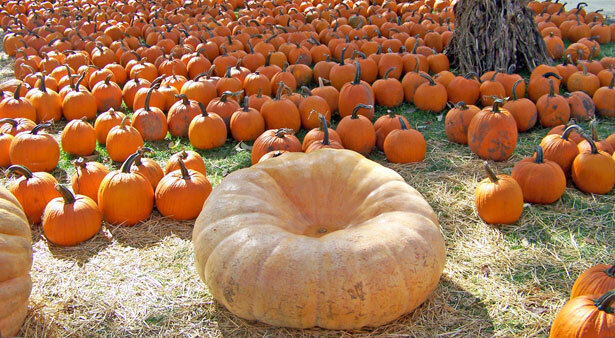 Everyone in the group is thinking about the same thing-pumpkin pie. Everyone works together to get the job done. The students took turns acting out the story and enjoyed the learning today. Me too! Playing the game Slamwich requires a great deal of self-control. Last week we played and several things happened. There were lots of slip-slaps. A slip-slap happens when a player slaps the deck when there is no slamwich, double decker, or stop thief card in the center pile. A slip-slap happens when we are not practicing self-control. Some token towers went flying around the table last week. Some students were out of their seat and in the middle of the table. Wow! I could tell that not everyone was having fun because of the lack of self-control around the table. Today I started the group on a different path to get to Slamwich. 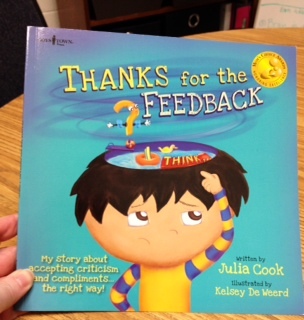 This wonderful book helps us understand what it means to receive positive and negative feedback and how to respond appropriately to that feedback. 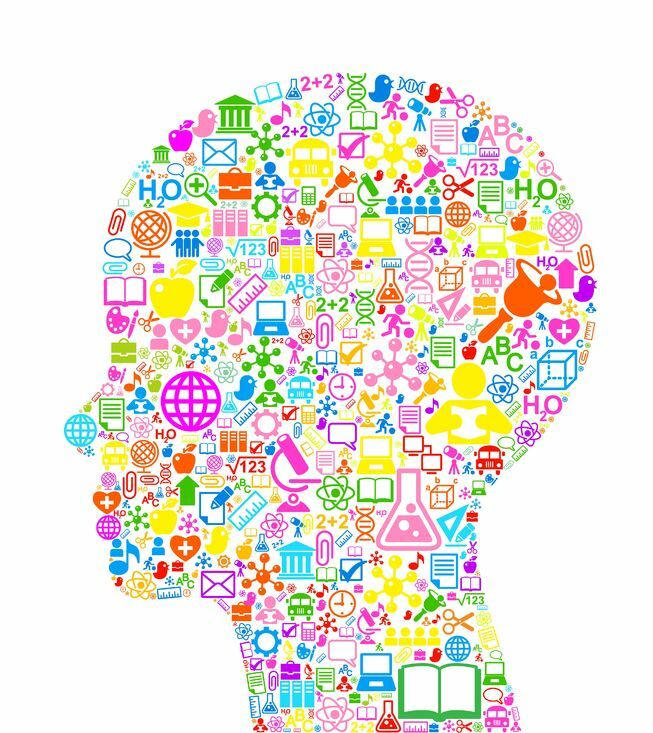 I have noticed that some of the students struggle to see feedback simply as information and/or advice that can help you improve. 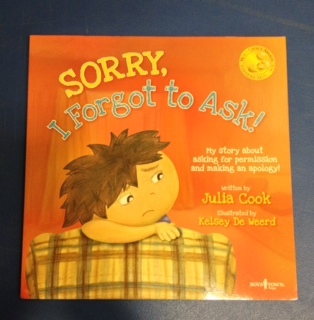 So, we read this book to prepare everyone for receiving feedback during the game. 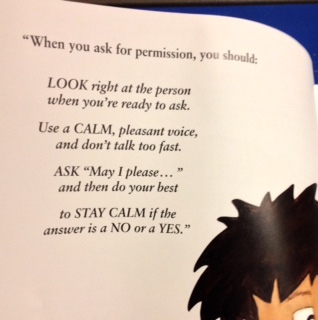 Next, we discussed emotional regulation. 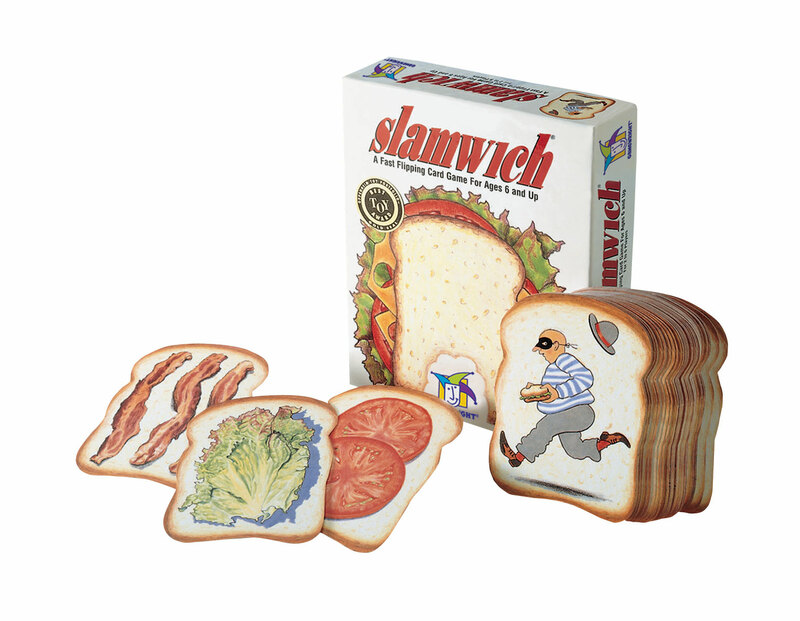 Slamwich is a very exciting game and it is easy to lose control over your level of excitement. These visuals helped the students understand what silly and serious looks like and when they are expected and unexpected. We decided that a game of Slamwich had rules and that we could be playful and have fun, but not be silly. 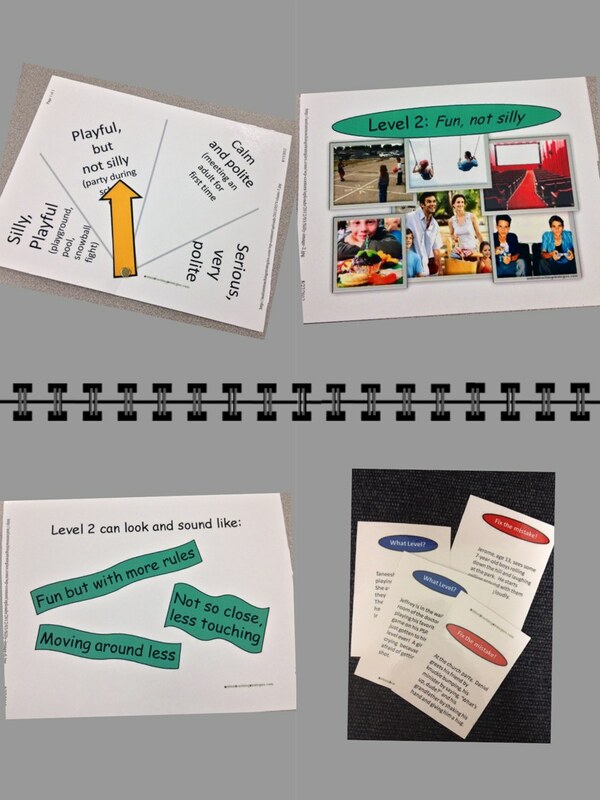 These visuals are free downloads at http://autismteachingstragies.com. I think we all had a much better time. Self-control is much easier for some people than others. We must keep at it because self-control will help us to be better friends, better citizens, and better employees in the future. Everyday was excellent at this conference. Go to http://www.autasticavenues.com and read my blog post about day 3. You must see the video of Cookie Monster learning self-control! Go to http://www.autasticavenues.com to read my post on the FABULOUS 2nd Day of the conference! 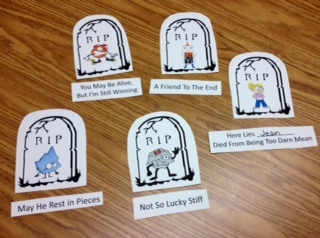 I learned so much and got so many ideas that I can’t wait to use with the social skills groups. 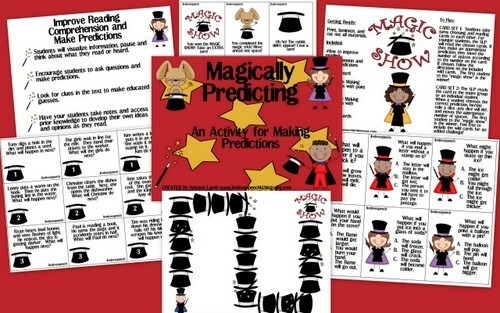 Magically Predicting, created by Kristine Lamb at http://www.livelovespeechkl.blogspot.com, is available for purchase at http://www.teacherspayteachers.com. The students did a great job reading a short paragraph and then selecting the correct answer from A, B, or C, for “What might happen next”. Everyone achieved at least 80% accuracy. Reading a short paragraph and making an inference without choices provided, proved to be a bit more difficult. As a therapist, I had the opportunity to model how to draw on prior knowledge and experience to help in making a smart guess. Magically Predicting is a great activity and a good exercise. However, when reading a book, students are expected to do a more complex “cognitive juggling” act. I love that-“cognitive juggling”! I read that in Kelly Branam Cartwright”s article Reading Comprehension and Working Memory”s Executive Processes: An Intervention Study in Primary School Students. Read the complete article at http://www.reading.org/general/Publications/blog/LRP/literacy-research-panel/2013/09/13/reading-comprehension-and-working-memory’s-executive-processes-an-intervention-study-in-primary-school-students. The research has found that individuals with ASD perform poorly on measures of executive function and that working memory is one of the limitations. Kelly writes that the executive functions associated with reading comprehension can be taught resulting in improvements in reading comprehension. The article lines out training tasks as well. Activities such as Magically Predicting provide a platform for modeling and practice of executive skills. It is exciting to uncover new ways to assist our students! It seems that “sorry”, “my bad”, and “oopsies” can become a reflex. 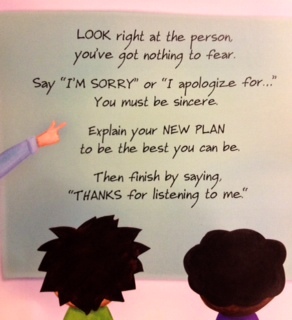 The students needed a script for a sincere apology and to know how their behavior really makes others feel. We talked about impulse control and how our decisions can be safe/unsafe and also how they can make others feel about us. We also talked about Halloween costumes. OMG! These girls are serious about their costumes. It was a great group conversation with everyone showing interest and asking/answering questions. Reflect on any recent conflicts you have had and chances are the inability to see things as others see them is at the core of the problem. Different people see and hear things differently based on where they are standing, what they are paying attention to, and how they are feeling. 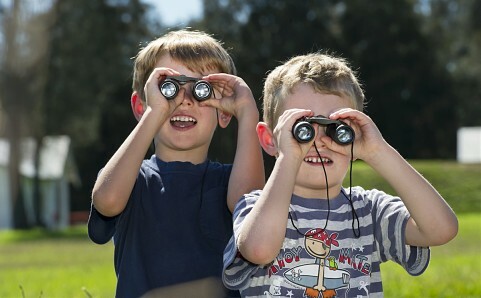 Children who can take others’ perspectives are much less likely to get involved in conflicts with their parents, teachers and friends. Perspective taking requires the following executive functions: inhibitory control or inhibiting our own thoughts and feelings to consider the perspective of others; cognitive flexibility to see a situation in different ways; and reflection or the ability to consider someone else’s thinking alongside our own. 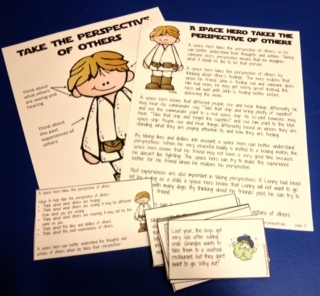 Taking the Perspective of Others is part of Space Hero Social Skills created by CC at http://ifonlyihadsuperpowers.com and available for purchase at http://www.teacherspayteachers.com. The activity includes a social story, power card and a game. While playing the game it became very clear that our students struggled to inhibit their own thoughts and feelings in order to understand the thoughts and actions of others as they were explained on the cards. 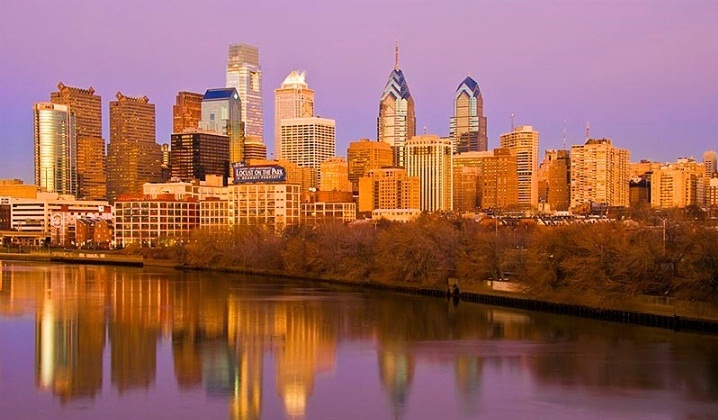 BTW, I am going to a Social Thinking Providers Conference next week. I know that I will return with some excellent new ideas.